Offering our "Twilight Menu" (4 course meal) for $39.95 Sunday through Thursday between 5pm - 6pm. **"Twilight Menu" is not offered year round. Please call the restaurant for more information. We offer plenty of free parking. Gulliver's offers private rooms that seat between 20-100 guests. Whether you desire a Private Birthday Party, Rehearsal Dinner, Wedding Reception, Business Meeting, Corporate or Private Event, Gulliver's is the perfect place. And at Gulliver's you will never be charged a room charge. In the last four decades Gulliver’s Restaurant has became one of the most popular Prime Rib Restaurant in Southern California. Gulliver’s hand-selected beef (corn-belt) is slow roasted in a unique patented oven system to assure flavorful, tender and juicy Prime Rib dinners. Gulliver's Restaurant is well known also for its other specialties as in-house aged Prime Steaks, Chateaubriand, Salmon, Rack of Lamb, Baby Back Ribs and roasted Long Island Duck. As you walk into a Gulliver's you will feel as though you have entered back in time to 18th century England. Guests at the Gulliver’s are surrounded by a veritable museum of leaded glass pieces, pewter and ceramic objects, and a collection of prints from Hogarth, Rowlandson and other Gulliver’s Travels illustrators. The Portions are huge, the service is gracious and friendly, and most importantly, the beef is cooked to perfection. Gulliver's is place where memories are created. Mothers Day is Sunday, May 12th and Gulliver's is the perfect spot to celebrate our beloved mothers. We open our door at 12pm and go straight till 9pm. Call or make your reservation online today. One of our favorite resturaunts..Great food, service and ambiance. Join the birthday anniversary club for great discounts! With or without discounts wonderful place to dine! 5 Stars! Food seemed old. Bathroom needs updating and cleaning. Wine list is awful and has no vintages except for the extremely expensive wines. Really not the place that it was when I was younger. The cream corn was the best part. The prime rib is too big and isn’t as good as other local places. Overall, good experience. This night, however wait staff seemed short and our waitress was literally running from the kitchen to serve. the service was excellent, but food and ambiance were not money worth. excellent location with great food at reasonable prices. a long time at this location , almost 48 years and it was as good as it was our last time here 30 years ago. an iconic resturant worthy of visiting ! We always enjoy Gulliver’s. Our waitress was terrific, which made it even nicer. This was our first visit to Gulliver's and Tony was our server. He was very pleasant and the service was wonderful. We will definitely return. Thanks! Always stop here when in town for work. Great food and service! Great way to celebrate!! Best prime rib ever!! We enjoyed our dining experience and the delicious food. Our waitress Rochelle was very efficient, and sweet. I had the Prime rib and my husband had the rib eye . We loved the ambiance and can’t wait to return with family coming to town for Easter! The Host was very helpful in informing me about the Easter Brunch . Great experience!! Thank you ! Celebrated our anniversary here, with friends. The prime rib was cooked perfectly as usual. Everyone enjoyed the food! I especially love the creamed corn & creamed spinach. My man doesn't like them and was able to substitute them out. It was a perfect celebration! Great food and service! A bit pricey but well worth with. We went for my birthday. Food was outstanding! Perfect service. She was very attentive and food came out hot and yummy! Worth the price pretty much. The food and service is excellent. Well worth the price. Always a fine dining delight. So nice to entertain for a birthday in warm, cozy atmosphere. Excellent hostess, great waitress and of course the fabulous food. We went to dinner at 8:30PM so it was a bit more quiet. They were able to accommodate a table of 16 people in short notice - I mean like in an hour's notice. Service was great, food was amazing. No one had any complaints. There was plenty of options on the menu for everyone's preference. Someone at our table dared the 26oz prime rib and no regrets. Pork chop, lamb rack, steaks, fish, all of it was delish! They do offer a kids menu and the kids at our table were pleased. Will be back the next time we are visiting the area! Visited based on their Groupon offer. Excellent service, and food was very good. Would have been a bit over our usual price point without Groupon. Creamed corn was a big hit. So good. Great atmosphere, just go see for yourself! A trusted and consistent restaurant!! Food and service are always excellent! The food was great, but the booth that we were assigned was not very good. We felt like we were ignored by the servers. We had to ask for water refill multiple times and were only given 3 refills. It was as if the servers would only come half way into the room from the kitchen and completely ignore the front half of the restaurant before going back into the kitchen. We were literally sitting right below/back of the "check-in" desk. The way we were seated, we felt more like we were in drive-in movie as we sat side-by-side watching everyone passing by. Other than where we sat and the poor service, the food was the real reason why we came back within 2 weeks driving all the way down from LA County. The first time we came was for my hubby's b'day with a total group of 8 people. That was a better experience compared to this time. Great food, service and waitress was extremely kind! We enjoy the Prime Rib entrees. Our Waitress was very pleasant this time. Very nice Hostesses also. Terrific food and service ! Ilya, the restaurant manager, ALWAYS makes dining at Gullivers a MEMORABLE experience ! Always very good. !My steak was a little under-done to my liking but overall another good experience. Please eliminate white pepper from your kitchens. It in no way enhances the flavor of your side dishes or any food for that matter. All that means is that your foods or prep have no taste. That is all pepper is good for. Front of house staff lost my reservations. We were seated 30 minutes after our appointed time. They were really not up to a busy day. Bar tender worked with aplomb even though he was slammed. Servers did the best they could but all in all it was an ordeal rather than a pleasant experience. Too bad since it was our first time there and our 36th wedding anniversary. I would to give you all a second chance but that is not likely. It is hard to give up $149 and come away miserable. As always, we had a lovely experience dining at Gulliver's. The wait staff was attentive to our needs, including the timing of our service, beverage refills, dessert and coffee service. JJ, the waitress, was a delight, as was Justin the food runner. 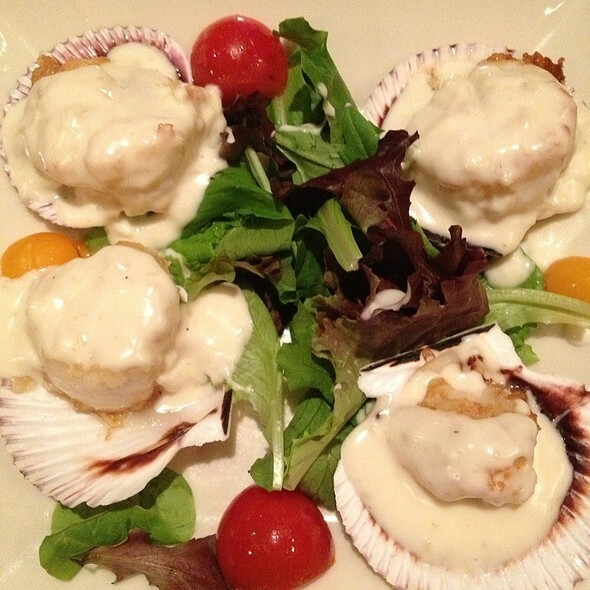 We will happily continue to visit Gulliver's, both for special occasions and for "just because" days! If you want to visit (especially for Christmas Eve, Thanksgiving or Easter), we STRONGLY recommend you make a reservation, as the restaurant is very popular. We were in a room with several large parties, so it was exceptionally noisy. Also, because our server was waiting on a table of 16, the service for our table of 2 was poor. After our food arrived, no one came back to see how everything was; I ordered coffee, but was unable to get a refill. We drove to Gulliver's from West Los Angeles - a drive of about an hour. The food was not as good as the last time I was there a couple of years ago. Probably would not drive there again. The service was great and the food very tasty . Our server was a joy. Best prime rib that I have ever had! Thank you so much! Service was excellent! Bday. We love this place. Our waiter Shawn was so attentive and professional. We would come back because of Shawn and the food. I already recommended the restaurant to Ms. Chelsea Martell. Gullivers never disappoints. Good food, good atmosphere and good service. A little pricey but the quantities are huge.